21.72mm x 18.93mm / 0.855in. x 0.745in. Praying Hands Charm by Rembrandt Charms. The width is 3/4 of an inch. Let someone in need know you are keeping them in your thoughts and prayers with the Praying Hands Charm. This charm will give them hope with your note of engraving on the back. 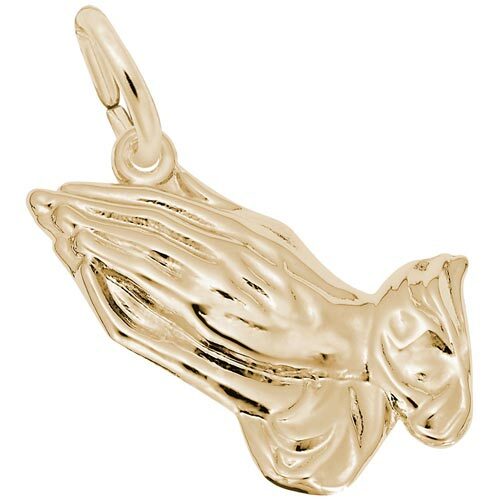 This praying hands charm can be placed on a necklace or will be a wonderful addition to a Charm Bracelet. All Rembrandt Charms are available in either silver or gold.